We're thrilled to announce that we've added the Library of Virginia to the list of states that we partner with to provide hands-on, unplugged tools for librarians to encourage tweens/teens to shift mindset and see “failure” as an opportunity for learning and growth. 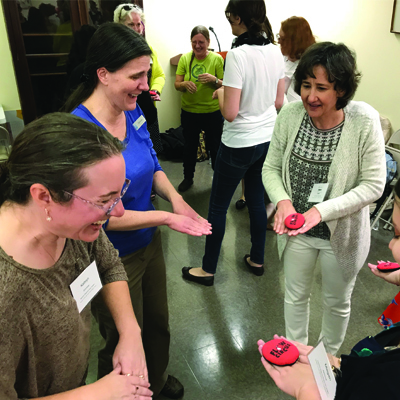 Last week, we conducted a full day training for close to 40 librarians from across the state and encouraged attendees to get comfortable with the messy part of learning new skills. We let them know that it's not always easy, you're going to feel silly, but that's part of the process - a process that we need to model for the teams we lead. They then practiced embracing this growth mindset by trying a variety of skill toys like spinning plates and kendama. The second half of the training focuses on implementation. We took them through a variety of exercises that they can run with groups when they get back to their library. One of my favorite parts of the training comes later in the day when attendees brainstorm ways they could incorporate the skill toy kits they now have access to into their programs. 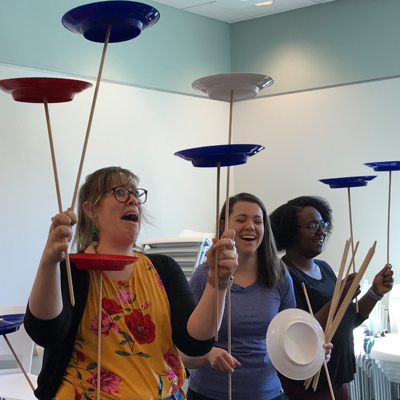 They always manage to come up with new ideas that illustrate the creativity and enthusiasm that librarians bring to their communities every day. We love supporting their work. 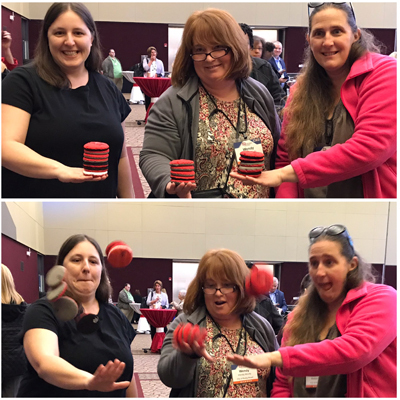 Flow Circus' Fail Better training was so on point, Virginia Youth Services Librarians were asking for a repeat before they even left the building. Dawn and Paul's pacing of the hands on, collaborative and high energy program was the exact answer to the challenge of programming for T/w/eens that meets critical thinking and STEM imperatives for public libraries right now. The group brainstorming left staff brimming with ideas for programs from passive to full scale sessions with affordable, unplugged, apparatus accessible to all. I cannot more highly recommend this program. Taking the fear out of failing and knowing that if I don't have the skill now, I will with practice. The understanding that I cannot lead where I have not been; knowing that how I see things changes the outcome! Very profound. Self-awareness that I can use to help others develop self-awareness. The mix of mindfulness/psychology and hands on was a great insight to using these kits. Learning to focus on success - not failure. Learning mindset matters. Having new ways to explain failure and perseverance to teens. Constantly reminding them that changing what they say can change what they do! We look forward to continuing this partnership for many years to come.